Have Fun • Do Good: What's Your Moment of Obligation? While re-reading Echoing Green's book, Be Bold: Create a Career with Impact, I've been thinking about one of its main ideas--that people have moments of obligation. "At certain moments in your life, you may find yourself pulled toward a path leading to work that will benefit others. If you seize these moments -- if you make a bold decision to take action-- a different world-- a better world-- is within reach. Some people can pinpoint one particular moment during which their lives took a new turn. Other people experience a series of moments that build upon one another. The key is to turn these moments of opportunity into concrete action." One of my moments of obligation came during the Green Festival in San Francisco in the fall of 2002. At the time, I was a program director for an arts education program and a facilitator of career counseling workshops for artists. For the past ten years, I had focused my personal and professional life on the ultimate importance of creative expression, but something didn't feel right. The systemic problems in the public school system I worked in overshadowed the impact we were making with our arts programming, and the lack of political and social change aspirations of my career counseling students was starting to trouble me. A co-worker recommended that I go to the Green Festival and hear Van Jones, who was the Executive Director of the Ella Baker Center for Human Rights at the time, speak about, "Green Jobs, Not Packed Jails." Although the video presentation and following discussion about the Books Not Bars program by EBC staff members was extremely disturbing, it was Jones’ closing remarks that resonated with me. "Although I believe that fulfillment of our dreams and use of our talents is important to each person’s happiness, I also believe that reaching out to others and working towards the fulfillment of our neighborhood, community, country or planet’s dreams is the other essential part. It took me 3 years to figure out how I wanted to do, "what really mattered." 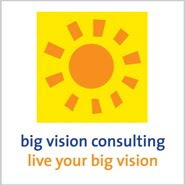 In 2005, I started my business, Big Vision Consulting, with the idea of inspiring people and giving them the tools and resources to support their big vision for a better world through coaching, consulting, my blog and my podcast. A lot of things have changed since 2002. Although our world still has tremendous challenges, I think more people, especially young people, realize the importance of being engaged in their communities on a local, national or global level. Likewise, I feel like there are more books, websites, movies, classes, etc. out there to inspire people and give them the tools they need to create change. My work doesn't feel as urgent as it did seven years ago, and I suspect a new "moment of obligation" may be coming my way soon . . .
• Jacob Colker's post, The Vision of the Extraordinaries on The Extraordinaries blog. • Cheryl Dorsey's post, Living Your Best Life through the Journey of Service on the USA Service blog. • Clinton Global Initiative -- Q&A with Maya Ajmera, Global Fund for Children by Mitch Nauffts on PhilanTopic. • Echoing Green Fellows' descriptions of their moments of obligation. Full disclosure: I'm the host of Echoing Green's Be Bold podcast.